As once quoted by Oscar Wilde in The Picture Of Dorian Gray; “Life imitates art far more than art imitates life”. Paintings and sculptures are attempts created by individuals yearning to bare their souls. I believe that one of the most difficult tasks a human being can complete is full emotional expression, because no matter how intricate and fluent, there will always be a fragment left unsaid. However, to describe an entity that serves as life itself, as the foundation of everything we’ve ever known, and as the earliest memories printed at the rim of our minds; we walk back to our mothers. The universal figure of the mother is depicted differently throughout time. 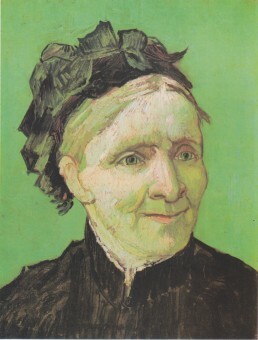 In 1888, Vincent Van Gogh painted a portrait of his mother, Anna Carbentus Van Gogh. The decision came as a chance for him to enhance her image as opposed to the classic black and white photography which was then, a popular form of documentation. Despite his disappointment in his own work, Van Gogh still believed that the colors in the painting sparked a sense of life. The visual arts were also thriving in the Middle East. Georges Hanna Sabbagh, an Egyptian artist who studied at the Louvre School of Art in Paris, became a known name in France, and later on in the Arab World. 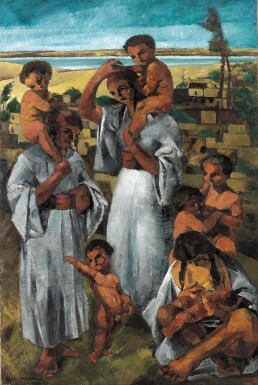 His Arab Motherhood artwork shows residents of a village, carrying their children. The painting’s creation was inspired shortly after Sabbagh’s mother had passed away and his trip to Egypt after that. 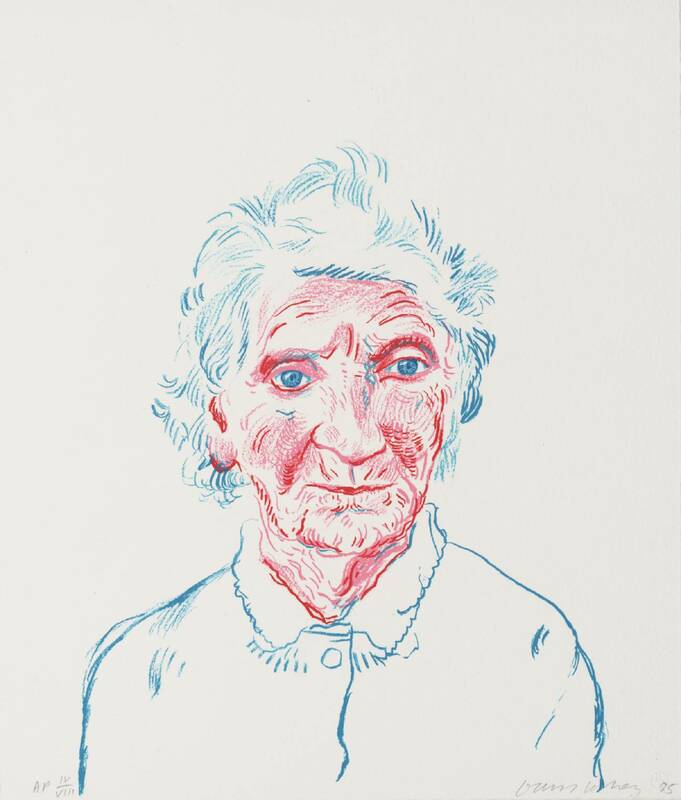 One of numerous portraits of his mother, Portrait Of Mother III by British pop artist David Hockney at the Tate Modern is a representation of losing a life partner and how it shows through ageing. The portrait was created a few years after his mother was widowed in 1978. 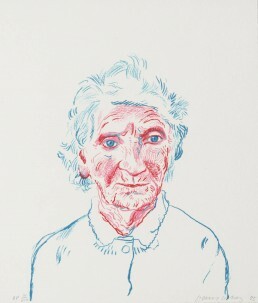 Hockney was always mesmerized by his mother’s courage, since she played a far bigger role in his life than his father. 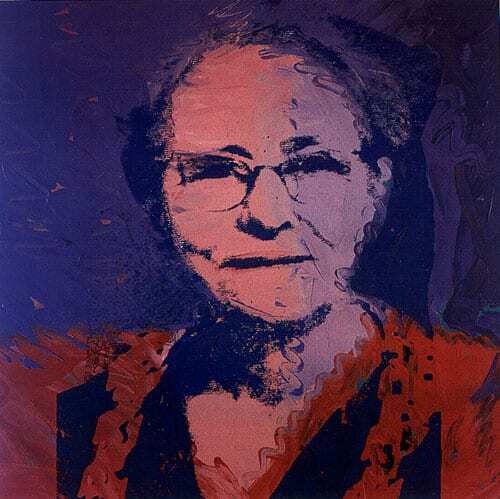 Following the same style and art movement, Andy Warhol also added a portrait of his mother to his silk-screen collection. Warhol made a serene, deep blue inkblot of a photograph of hers. In the silk-screen, Julia looks like a proud European woman who wears her traditions exquisitely. The title of this piece is highly individualistic with the inclusion of her Americanized name, Julia; signifying the change of her native Lemkos name Zavacka, to a simpler more pronounceable version. 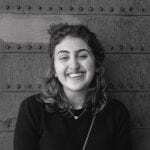 Her smile is reminiscent of the hopes carried on the shoulders of emigrants pursuing the American Dream. 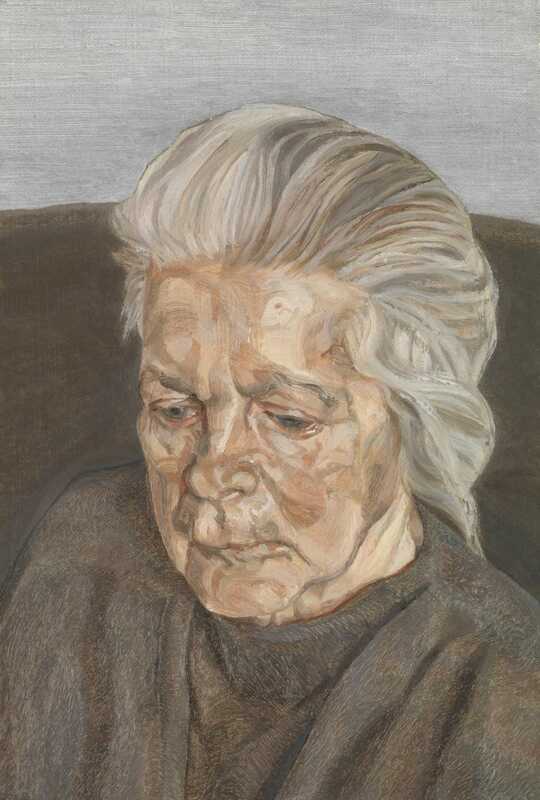 Another unforgettable British figure celebrated at the Tate Modern is Lucian Freud. The Painter’s Mother IV is the fourth of an 18-piece series Freud painted solely of his mother. He began painting her shortly after his father’s death, where he would spend hours with her, closely observing the perfect posture to translate in oil paints. The grey tones and Lucie’s facial expression form the voice of despair that capture her process of grief. Impressionist Mary Cassatt was interested in a variety of subjects such as upper-class American lifestyle and everyday life rendezvous. She was a well-known participant in the 1840s wave of feminism and was an advocate for equality and right to vote – a recurring topic in her paintings. 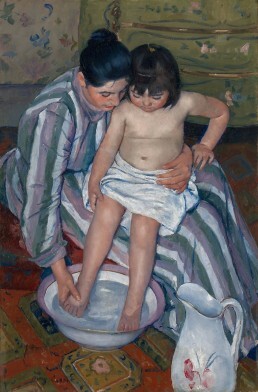 Cassatt portrayed the concept of the ‘New Woman’ in the form of motherhood through The Child’s Bath. Constructed in 1893, the painting is currently on display at the Art Institute of Chicago. It is a bridge to the 19th century which describes how children were brought up at the time, just as shown here with the mother carefully cleaning her daughter’s feet. The 19th century was the era for American painters to rise in significance. 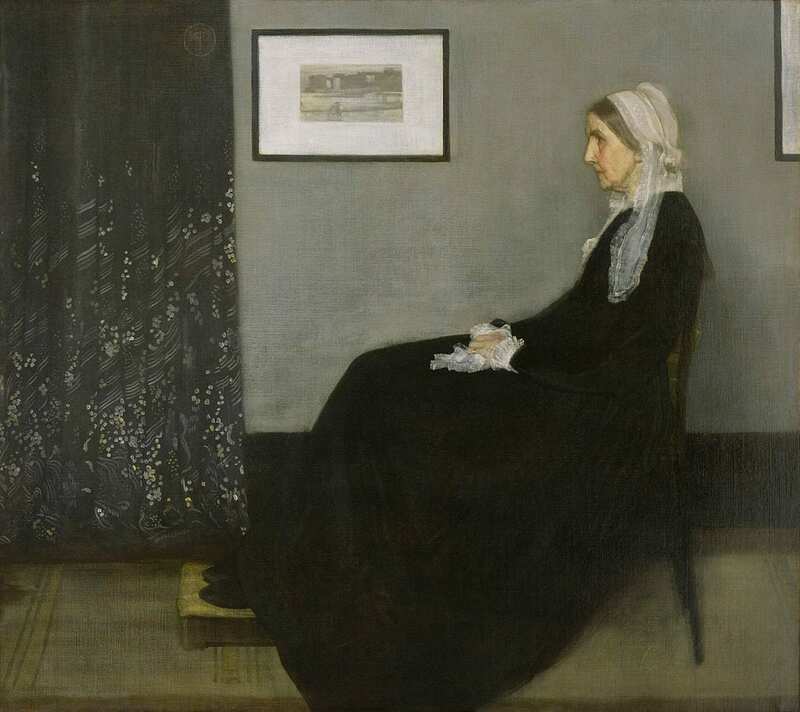 James Whistler‘s famous Whistler’s Mother is known to be the ‘Victorian Mona Lisa’. It has been widely criticised by many who claim that the persona intended to be in the painting was a model who never showed up to the studio, and not Whistler‘s own mother. 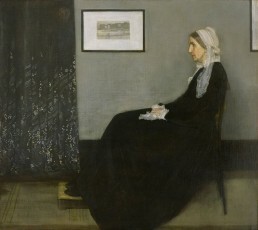 Whistler‘s Mother is the colloquial name of the original title Arrangement in Grey and Black. It was later used by the US Post to commemorate American mothers and was heavily commercialized by print media. Kept at the Louvre Abu Dhabi, it is still considered one of the world’s most influential works of American art. As origin shifts from West to the Middle East, Nabil Anani‘s heart-warming Mother’s Embrace is a flag highlighting the strong presence of the Palestinian contemporary art movement. 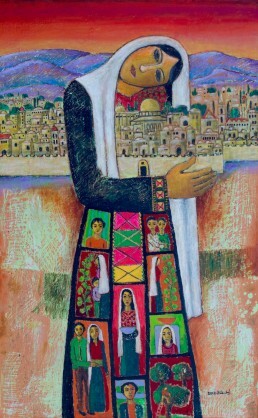 In the painting, the Palestinian struggle is shown to be more of an act of resilience rather than a defeatist approach. Palestine here is personified as a mother, protecting the authenticity of its ancestors’ traditions and roots; sheltering an entire growing generation with her loving embrace. The Dome Of Rock is the closest to her chest, which could also mean that the most prominent Palestinian cultural marker is safe and sound within her; just like the feeling of security one can only find in the delicate arms of a mother. Just like all of these names who came and left before us, we always seem to come to the same constant at the end of the day. As we imitate art in life through learning from masterpieces, we remember the people we could take for granted subconsciously. We always ask for her judgement first, for her approval and encouragement to be the people we yearn to be as we grow old. Her happiness and content is what puts us at ease. Her heart is the irreplaceable source of reassurance. For this Mother’s Day, I hope the challenge of putting your immense love for her into words or paint becomes more of a routine. This is a tribute dedicated to the two women I hold dearly to my heart; my mother and my sister. For your support, unconditional love, and motivation; thank you. Attractive part of content. I simply stumbled upon your weblog and in accession capital to assert that I acquire actually loved account your weblog posts. Any way I’ll be subscribing on your augment or even I achievement you get admission to consistently fast.